Browsing articles tagged with " alberta"
On September 27, 4 Wheel Parts held grand opening celebrations for new stores in Edmonton, Alberta Canada and Bossier City, Louisiana. Festivities at the locations included $1,000 shopping sprees, prize drawings and exclusive onsite deals. “These stores represent the next level of retailing for the off-road industry,” says Transamerican Auto Parts president and CEO Greg Adler. 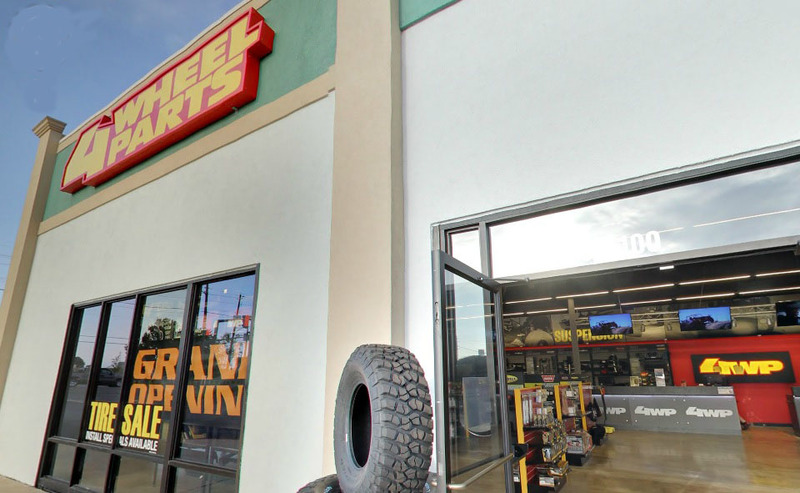 Interactive onsite displays and Google See Inside virtual tours of showrooms and service bays make the stores impressive, state-of-the art destinations for 4×4 enthusiasts. The Bossier City, Louisiana store is located at 2001 Airline Drive, Bossier City, LA 71111. “We had a 20-foot-tall monster truck bounce house and slide for the kids, two Jeep clubs attending and a car crush,” says Terry Baker, Bossier City store manager. The Edmonton location is at 4220 99 St NW Edmonton, Alberta T6E 5B3 Canada and becomes the sixth 4 Wheel Parts store to open its doors in Canada. Both stores staged ribbon-cutting ceremonies and offered 50% off onsite installation on any one item and heavily discounted Smittybilt XRC 9500 winches.